The process of securing affordable housing is a complex and daunting task for anyone unfamiliar with the regulations imposed by government agencies and local housing authorities. For homeless individuals struggling with multiple health challenges, it is a near-impossible task without help from a professional trained in housing search and advocacy. 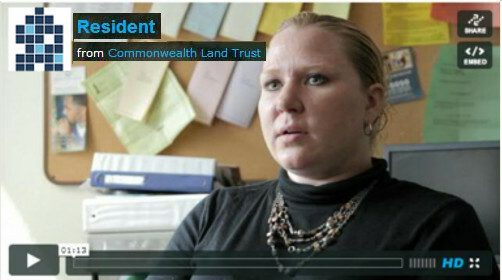 Commonwealth Land Trust provides this important service, guiding applicants through the process of securing housing at our properties. CLT’s supportive housing and case management departments work as a team to assist clients in securing housing. Supportive housing managers accept referrals from numerous partner agencies and conduct street outreach to homeless individuals. We regularly visit partner agencies (shelters, community centers, health clinics, soup kitchens, etc.) and distribute information on our housing opportunities. Applicants attend our bi-weekly open houses and visit us on a drop-in basis to receive information, fill out an application, and take a tour of our properties. CLT’s director of marketing & outreach is especially instrumental in helping clients to secure housing. He is an expert in public/subsidized housing, including application processes, eligibility criteria, and navigating the housing authorities that award housing subsidies (Boston Housing Authority and Massachusetts Boston Housing Partnership). He meets with prospective residents at the housing authorities and assists clients in filling out paperwork, obtaining necessary documents, and liaising with leasing officers. After meeting with members of our supportive housing team, prospective residents meet with on-site case management staff. Case managers conduct an initial needs assessment to determine if CLT housing meets the client’s needs. If both the applicant and CLT staff agree that our housing is a good fit, then we continue to guide the client through the complex process of applying for subsidized housing. In some cases, we are able to house clients immediately; however, the average waiting time is between three-six months. 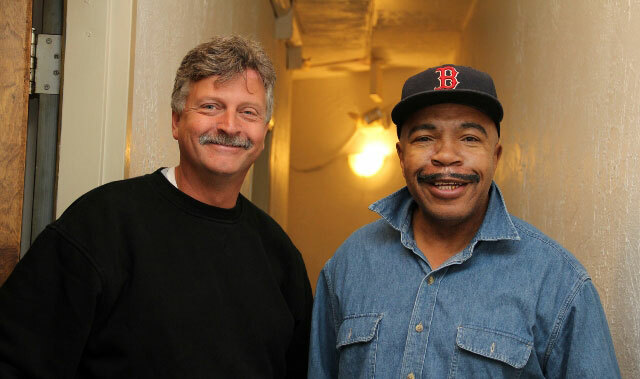 If a homeless individual is in need of a greater or lesser degree of supportive services, then we refer him/her to partner agencies in the Greater Boston area. 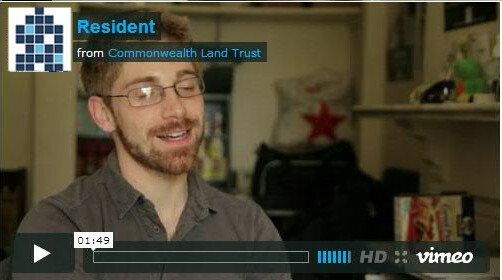 Commonwealth Land Trust encourages clients who are thriving to transition to independent housing. After one year of successful tenancy, many residents are eligible for a section 8 mobile voucher, which they can use to secure a one-bedroom apartment anywhere in the state. Case managers assist eligible clients in the search for independent housing, liaising with housing advocates, landlords, and housing authorities. The majority of residents live in CLT housing for as long as they choose. However, when a client’s health prevents him/her from being able to clothe, feed, and care for himself/herself, case manages work with the client’s healthcare team to obtain an appropriate residence for him/her. As many of our residents are struggling with chronic illnesses, case managers make frequent referrals to outside medical professionals who provide on-site medical care and enable ailing residents to remain housed at CLT.